In October 2015, association Test-Achats deposited a request in collective action against the tour operator Thomas Cook. It was the first implementation concrete of the device introduced into the Code of economic right by the law of March 28th, 2014 and come into effect on September 1st of the same year. 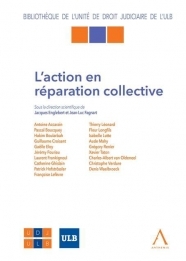 Written in collaboration with Thierry Léonard, read his article in link with the sector of telecommunications: pretext to trip on the borders of the law on collective repair (book XVII of CDE).